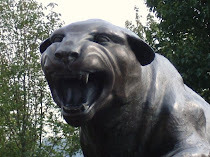 CARDIAC HILL - A Pitt Panthers Blog: Pitt Lands Running Back. Almost. On Saturday, Paul Zeise of the Post-Gazette helped break the story of running back Breon Allen out of Warner Christian Academy in Daytona, Florida committing to Pitt. Rivals has him as a commit, but Scout says he is holding off on his commitment right now (need an Insider account). They also previously had him committing (also need an Insider account), so sounds like a potential change of heart. Allen is unranked by Rivals and Scout and judging by his offers, not highly sought after - at least not yet. His best offer outside of Pitt was Marshall. Still, he's a two-way player who racked up over 1,300 rushing yards and had nine interceptions last season. It isn’t Breon Allen who is putting this commitment on hold – it is the PITT coaching staff. They have told Allen they won’t accept his ‘verbal’ until he gets up to campus and they have told him to plan on that being for the New Hampshire game this September. The trigger was pulled way too fast in this situation and PITT is scrambling around minimizing it. 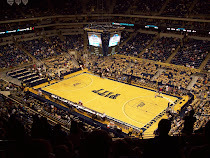 The reason for that is obvious of course – PITT is waiting on Huggins and Poteat to make their decisions first. This partnership isn’t etched in stone by any means. I wouldn’t mind him at PITT either though. Thanks for the note, Reed - that makes more sense now than the initial reports.